Cranes are large wading birds that live in open wetland and meadow habitats. 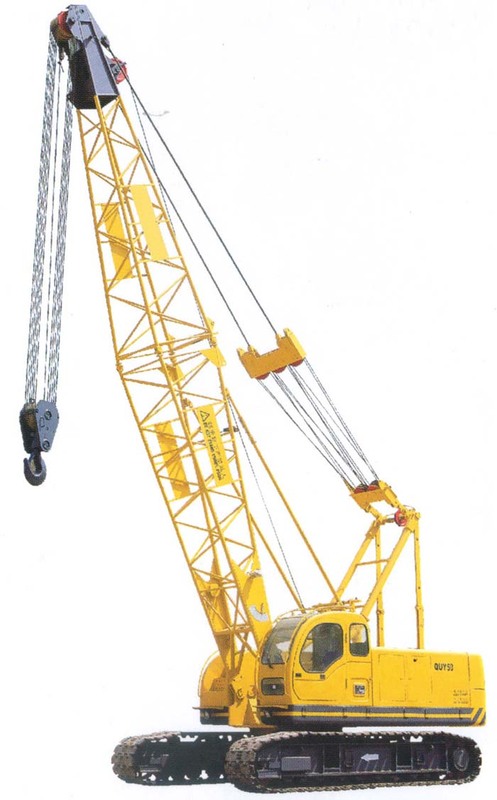 There are fifteen species of cranes in the world. 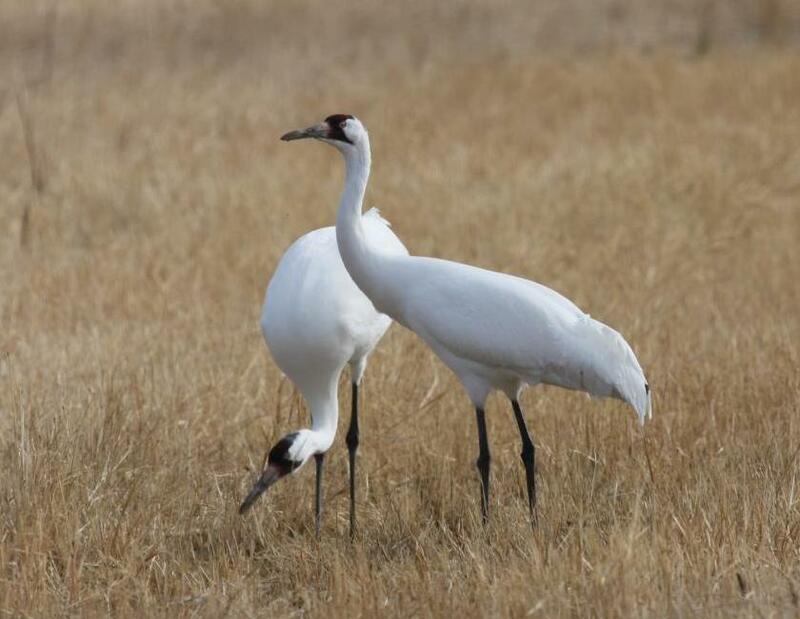 North America ishometo two species, the sandhill and thewhooping crane. Sandhills are the most numerous of all cranes, and whoopers the least. 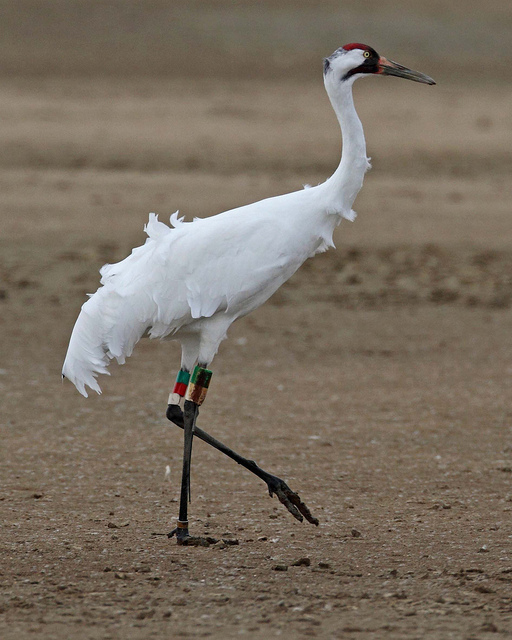 Cranes are omnivores, though food preferences vary among species. As opportunistic feeders, they dine on numerous animal foods, such as fish, crustaceans, worms, insects, and small animals, and many plant foods, including berries, acorns, grains, and seeds. 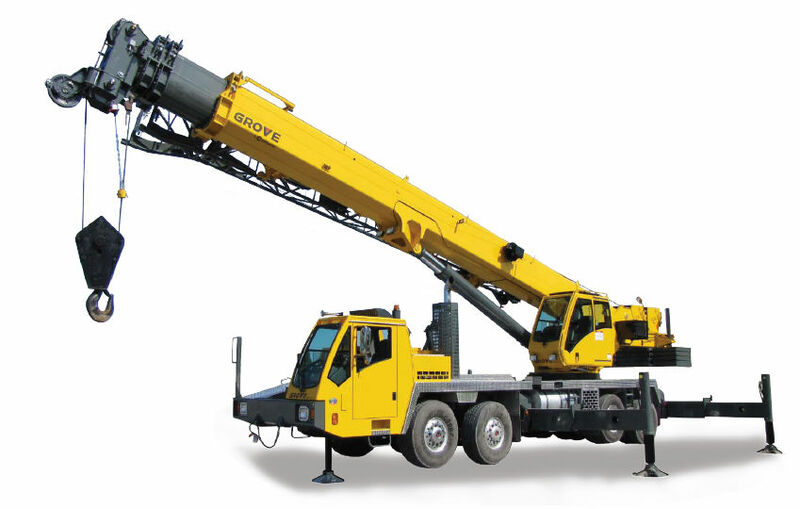 Cranes vary in size from 2.5 to 6 feet tall, and weigh from five to twenty-five pounds. Their wingspan can measure up to 7.5 feet. Males and females look alike, though the male is usually larger. Plumage ranges from pure white to gray to brown. Many cranes have a red, featherless patch of skin on the head. Crowned cranes also have a golden ornamental tuft. Cranes have long, slender legs and unwebbed feet, features that allow them to wade in shallow water and walk through mud. Their three large toes and a tiny back toe keep them from sinking. Cranes have long necks, and the length of the trachea correlates to the volume and resonance of vocalization among species. They also have pointed, powerful bills, which they use for obtaining food by fishing, digging, or foraging. They are also used for defense. Most cranes are migratory, spending spring and summer in northern locations and wintering in more southerly habitats. Afew species stay in the same location year round. The same flyway is always used. Unlike other birds, cranes learn the flyway through visual memorization rather than by instinct. Flock size varies from a single family to between fifty and one hundred birds. Cranes fly with their necks stretched out and their legs extended out straight behind them, distinguishing them from other large wading birds. They glide on thermal air currents to conserve energy. They are quite vocal during takeoff and landing. Mating occurs in the spring, when the birds reach their northern nesting grounds. 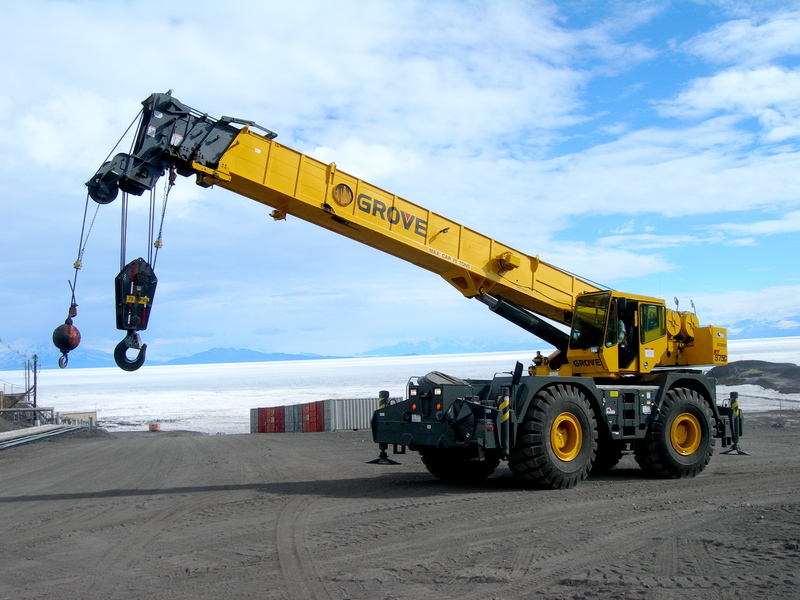 Cranes do not reproduce until they are about four years old. They mate for life and tenaciously nest in the same location from year to year. Nests are mounds of plant material, usually built in shallow water. Most species lay two eggs, and male and female share incubation. Generally only one chick survives to adulthood. The fledgling period lasts from two to five months, during which time the chick grows its feathers and the adults molt. Brooding parents are very protective. The young bird returns to the wintering grounds with its parents, but separates the following spring after migration. 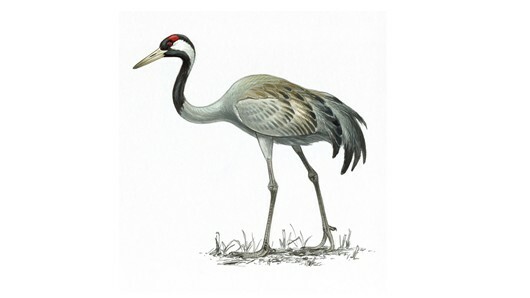 Cranes have a distinctive, buglelike call and can be heard from up to three miles away. The most notable of the crane's vocal repertoire is the unison call between male and female, performed when mating or when defending their territory. It consists of a series of responsive, coordinated calls of differing length and pitch while the two birds stand in an erect, stylized position. Cranes engage in many colorful behaviors, such as preening, defense posturing, stretching, feather ruffling, and head scratching. They are famous for their spectacular dance. One bird will lower its head and flap its wings, then leap upward with stiff legs, throwing its head upward. Another bird will respond with similar movements, and this may continue for several minutes. Although its function is not fully understood, it seems to correlate with a state of excitement. Dancing is exhibited throughout the year, often between bonded pairs, but also singly and in large groups. Changes to wetland habitats caused by building, farming, leisure pursuits, and pollution have threatened many crane species. The diminishing number of suitable habitats has interfered with their migration patterns and nesting habits. In 2000, the Siberian, Japanese, and whooping crane were listed as endangered by the International Union for Conservation of Nature and Natural Resources. Six additional species are considered vulnerable. Around the world, efforts are being made to protect wetland ecosystems and reestablish dwindling species. 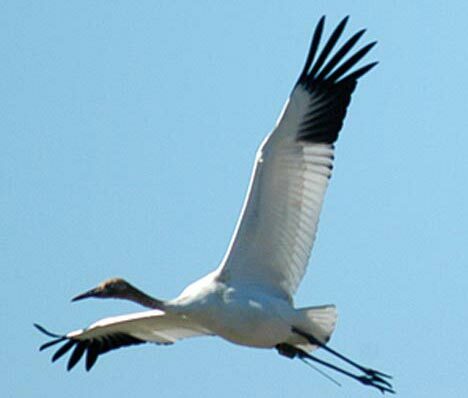 In North America, biologists have been attempting to establish new migratory and nonmigratory flocks of whooping cranes. In the 1990's, a program was launched to establish new migration routes by imprinting chicks to follow an ultralight aircraft.